Medium sized jerk minnow featuring some powerful internal balls for great long distance casting, even against the wind. 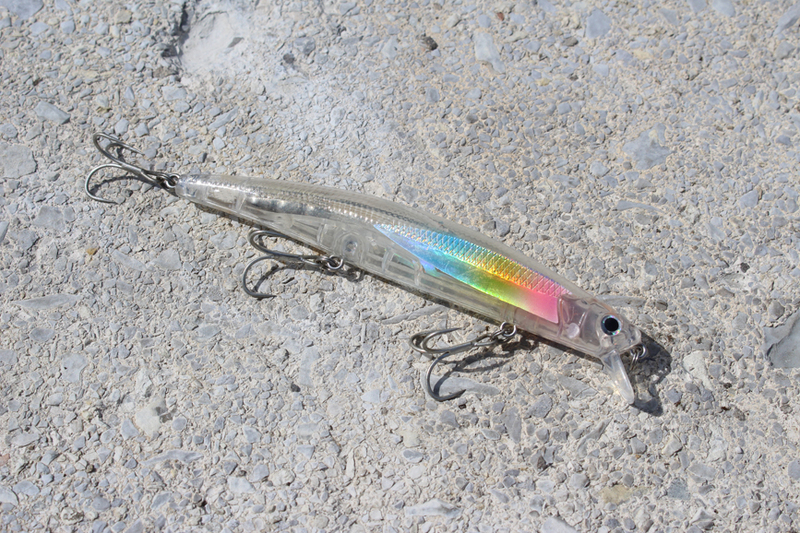 It can be used to entice pike and bass near the coastline as well as the elusive sea bass, for either shore or boat fishing. Featuring a marked wobbling action, accompanied by slight rolling, it can be used for straight retrieve accompanied by short pauses or with a light jerking action.